The Vampire Library is a resource for readers of vampire fiction, literature and non-fiction books, including rare and out of print titles, self published works, and the latest titles on the best seller lists. We have been online since 1998. If you are looking for a way to discover new fiction books to read, try our Fiction Guide which categorizes books by genre, type or format. We occasionally run book giveaways and do author interviews. If you are an author or publisher interested in either of these options, please contact us. 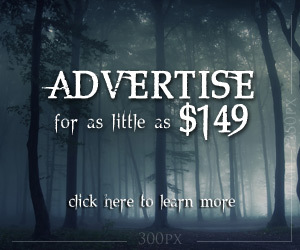 If you are interested in advertising on The Vampire Library please click here for details.